Protest is all too familiar in our everyday lives and news cycles let alone on cinematic screens. Powerful narratives and historical figures that often don’t get the recognition deserved, film and television can give credit to those who were involved and lead the way for events that have shaped history. With the release of Mike Leigh’s ‘Peterloo’, we’ve put together a run down of some of the best films that have tackled significant points in time and the protests that changed people’s lives, countries and the world. A grossly underrepresented event in British History, Pride tells the story of the 1984 National Union of Mineworkers strike and the support the LGBTQ+ Community provided to the (at first, reluctant) Union. A heart-warming tale with a great British cast that includes Bill Nighy and Imelda Staunton, Pride tells the story of real people, some of whom made cameo appearances in the film. From the Welsh Valleys to the streets of London, the story covers two supressed groups who seem an unlikely pairing but eventually form an alliance and show the changing attitudes of people. Unfortunately, the issues addressed in this film are still prevalent today, but the 1968 women’s strike at the Ford Dagenham car plant protesting sexual discrimination dramatized in Made in Dagenham did advance the cause of women’s rights. Lead actress, Sally Hawkins, was able to meet with 3 of the original seamstresses who were passionate about filling her in on the events and mindset of the women to give the film authenticity. The film is now also a musical on the West End. Though based on one of the most prominent figures and movements in American history, the primary cast members in this civil rights film are British. Following the 1965 march from Selma to Montgomery which ultimately resulted in the Voting Rights Act of 1965, it is a moving story of violence, vision and victory. Though the film won an Oscar for Best Original Song in 2015, there was outcry at the omission of lead Actor, David Oyelowo and Director, Ava DuVernay from their categories and a lack of racial diversity in Hollywood was highlighted as still very much being an issue. Following the 1981 IRA Hunger Strike at Maze Prison in Northern Ireland, Michael Fassbender plays strike leader, IRA member, Bobby Sands. Fassbender underwent a gruelling diet to take on the role of Sands, who ultimately died protesting the removal of Special Category Status (rights afforded to prisoners in Northern Ireland.) 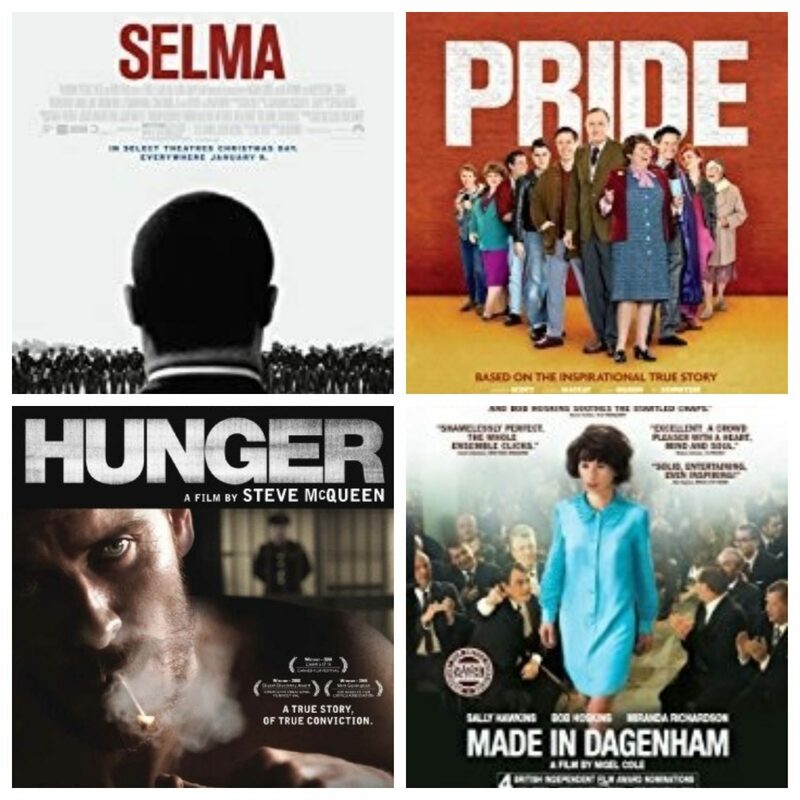 Hunger was Steve McQueen’s (most notably known for 12 Years a Slave) feature film directorial debut and was received well by critics. Not an easy watch, it is unflinching in its story telling and depiction of real life events. The Abbey bell has begun tolling for an hour, a day on from the start of #NotreDameCathedralFire.